Sri Lanka have won the toss and asked India to bat first in the do-or-die second ODI of the three-match series at the Punjab Cricket Association Stadium here on 13 December. After the toss, stand-in skipper Rohit Sharma said that he too would have opted to bowl first, had he won the toss. "It is a sticky wicket, and we will have to change the mindset when we bat. Every game teaches you so many things," he added. Lanka skipper Thisara Perera, on the other hand, said, "These are overcast conditions, and we will want to make use of it.I think this wicket is better than the last wicket. I know this wicket; I have been playing for Kings XI Punjab." As far as Playing XI is concerned, Washington Sundar has been given his maiden ODI cap. He will make his debut in place of Kuldeep Yadav. Meanwhile, Lanka are going with the same squad that clinched a seven-wicket win in the opening match against India in Dharamsala to go 1-0 up in the three-match ODI series. After suffering an embarrassing defeat against Sri Lanka, India will aim to bounce back to keep themselves alive in the series and end the home season on high. Lanka, on the other hand, will strike with full force in order to clinch their maiden ODI series win this year. 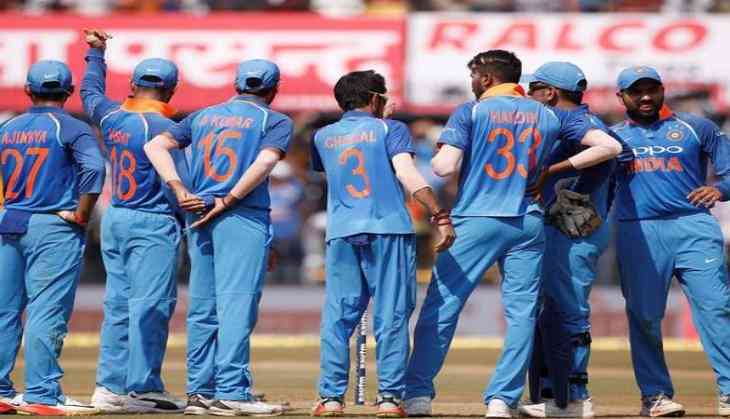 India (Playing XI): Rohit Sharma(c), Shikhar Dhawan, Shreyas Iyer, Dinesh Karthik, Manish Pandey, MS Dhoni(w), Hardik Pandya, Washington Sundar, Bhuvneshwar Kumar, Jasprit Bumrah, Yuzvendra Chahal. Sri Lanka (Playing XI): Danushka Gunathilaka, Upul Tharanga, Lahiru Thirimanne, Angelo Mathews, Niroshan Dickwella(w), Asela Gunaratne, Thisara Perera(c), Sachith Pathirana, Suranga Lakmal, Akila Dananjaya, Nuwan Pradeep.